LANSA's repository helps to dramatically reduce the number of lines of source code. Yachiyo Industry, headquartered in Sayama City, Japan, is a leading manufacturer of automotive parts, such as fuel tanks, sunroofs as well as pressed and molded parts. In 2004, the company embarked on a reform program and spent three years transforming the structure of its information systems department. With the ultimate goal of bringing business systems development totally in-house, the company selected LANSA, and in three months, delivered its first web development project for the parts molding process system at the Kameyama plant. The company now plans to apply the application to some 50 parts process systems at its factories in five locations across Japan. We selected LANSA Xi with the ultimate goal of bringing business systems development totally in-house. Yachiyo Industry's computer history goes back to the 1970s, when NEC office computers were installed at two of the company's locations in Aihara (Saitama Prefecture) and Suzuka (Mie Prefecture). Both NEC machines were replaced with IBM mainframes in the 1980s and subsequently by IBM System i machines in 1997 and 1998. Since then, the System i has served as Yachiyo's core platform for applications that support head office administration, sales, distribution and manufacturing. Yachiyo's business has been rapidly expanding over the last 10 years and systems were put in hastily without spending much thought on architecture and standards. Most IS projects were outsourced and the IS team was given little opportunity to build in-house skills. When Mr. Kazuyuki Uchiyama, Manager Information Systems Department, took the helm in 2003, he realized that the IS department needed a transformation. "The IS department had fallen into such a decline that I openly declared that in its current state we may as well replace all the staff," says Mr. Uchiyama. "Their infrastructure work mainly centred on supporting some 1,200 PCs and the team wasn't equipped to handle networking that well. Development and hosting of web-based business systems was all outsourced and the role of Yachiyo's IS team was just to coordinate that." 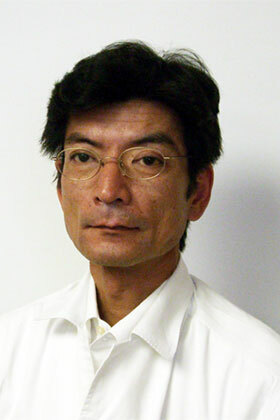 Another issue that concerned Mr. Uchiyama was the lack of a standard development environment. Programs were written in a variety of different development languages, such as COBOL, RPG, LANSA, Visual Basic, Java and C++. "Moreover, despite the fact that there were only about a dozen staff members in the IS department, they were divided up into even smaller groups according to programming language. This meant they were unable to get involved when it came to programs written in other languages. As a result it was not possible to work collaboratively on initiatives involving the Information Systems department as a whole." It was not possible to work collaboratively on initiatives involving the IS department as a whole. Standardization of operations and becoming a more 'visible' Information Systems department. Upgrading of infrastructure to provide 24X7 availability with zero downtime, while also improving network performance and processing speed by an ambitious factor of 10. Standardizing the development environment and adopting a business-centric philosophy, with the ultimate goal of doing all business systems development in-house. For the standardization of operations, team members were assigned along the lines of business divisions, rather then being sub-divided by technical skills. Also, the roles and details of responsibilities for each team and team member were clearly defined. The role of the Information Systems Department as a whole was redefined, not just to provide IS services, but to align the information systems both in Japan and overseas with business and to provide highly efficient, high-quality IS services to support and facilitate the company's global strategy. The infrastructure was upgraded in December 2005. The network line speed was increased by a factor of ten and duplexed. At the same time, the old AS/400 model 620 was upgraded to a System i5 550 model, with 10 times faster processing speed. Lotus Domino was 'redundantly configured' and a network monitoring system was also installed. LANSA was selected as the standard development environment. "We chose LANSA Xi as our standard development environment to overcome the lack of uniformity in our program portfolio and to consolidate the scattered programming skills in our IS department to just one," says Mr. Uchiyama. "LANSA had been introduced to our company in the late nineties to get Y2K ready. So we were already familiar with LANSA's level of development productivity and maintenance efficiency. Evaluating LANSA's newest release in 2007, LANSA Xi, made us realize how LANSA had evolved even further." "The LANSA Repository allows for central definition of business rules. This makes it possible to dramatically reduce the number of lines in program source code. It simplifies the development process and makes LANSA easy to learn for all development staff. I ranked LANSA high on those points and decided to make LANSA our standard development environment for the future." LANSA's central repository helps to dramatically reduce the number of lines of source code, simplifying the development process. Yachiyo's first system to be developed using LANSA Xi was the parts molding process system at the Kameyama location. Ahead of this project, nearly all of the IS department staff attended two weeks of LANSA training. During this period, all development stopped, so the staff could concentrate on the training. The team then commenced development of the Kameyama plant parts molding process system. This system manages the entire production planning process and interfaces with the bill of materials, raw material delivery schedules and actual shipment variations. Taking equipment capacity, other resources and processing conditions into account, the system then produces plans for the loading and processing of materials and inspection of goods. These plans are continuously updated with the actual inspection results. The system updates the inventory of parts, produces shipment documentation and labels and provides reports for operations, quality control, distribution and management. The system includes 175 files and 156 programs. The average number of lines of code for online screen programs is 500, for batch/print programs it is 300 and for data upload and others it is 60. This system, Yachiyo's first in-house developed web-browser project, took only three months from commencing training of the developers to implementation by the users. Yachiyo purchased LANSA Xi on 19 January 2007, commenced training of IS staff on 29 January, started design and development on 16 February, user training on the 23 April and parallel implementation on 28 April 2007. Being able to complete a significant web development project in a mere three months, with a team that had no previous web development experience, is a fantastic result. "Compared to development using Java or .NET we were able to do the development in around one third of the man-hours. We were able to develop this system in-house quickly and at an extremely low cost, while we had been quoted 100 million yen (around US$960,000) by an outside supplier," summarizes Mr. Uchiyama. "Being able to complete a significant web development project in a mere three months, with a team that had no previous web development experience, is a fantastic result." "Based on the success of the system at the Kameyama plant for the parts molding process, similar systems will be implemented at the Kashiwabara, Suzuka, Yokkaichi and Hamamatu plants for the metal pressing, welding, molding and painting processes, altogether spanning 50 production lines." "By realizing Mieruka for the IS infrastructures and the selection of LANSA as the standard development environment, we have achieved our goals. The IS department is more visible and business aligned. The information system is fast, secure and available 24x365. We have proven we can do major business system development projects efficiently in-house." "The best outcome of the transformation is, that by using one standard development language, LANSA, all of the IS department's staff were able to talk to each other. I think that this will boost further development," concludes Mr. Uchiyama. The best outcome of the transformation is, by using one standard development language, LANSA, all of the IS department’s staff were able to talk to each other. Yachiyo Industry Co. Ltd is involved in the manufacture and sale of automotive parts, completed automobiles and accessories. The automotive parts business includes fuel tanks, sunroofs, sheet metal products and plastic parts. Honda Motor Co. is Yachiyo's main customer. Yachiyo is headquartered in Sayama City, with subsidiaries throughout Japan. Overseas locations include Canada, the US, the UK, Thailand, Vietnam and China with India planned. Profile Yachiyo Industry Co., Ltd was established in 1953 and has its head office in Sayama City, Saitama Prefecture, Japan. Capital is 3.68 billion yen, turnover is 353.08 billion yen and employee numbers is 2,275 (as at March 2007). Yachiyo Industry uses a IBM System i model i5 550. LANSA Version 11 is known as LANSA Xi in Japan.